At the heart of your CME certificates program is a deep commitment to providing the best possible learning experience for your members, and that includes offering them a user-friendly LMS. To get the most out of your CME program, participants need a simple way to keep tabs on their progress and access CME certificates once they’ve completed an activity. If your platform has a steep learning curve, then new members to your LMS may have to hunt for their CME certificates to print them, wasting time they don’t have to spare. When a routine task like finding and printing CME certificates is a challenge for your learners, it isn’t because you’ve neglected to add a few extra lines to your FAQ page: it’s a design problem. That means that there is a significant flaw in the way that your members access or navigate your platform. This type of disconnect between structure and function compromises the overall learning experience and naturally leads to mounting user frustration. Unless you’re using EthosCE’s purpose-built LMS, you’ll have to reexamine your learners’ user experience and make changes from the ground up. Let’s take a look at some of the top ease-of-use challenges that your members may face when attempting to manage their CME certificates. Although you’re probably well aware that the quality of your learners’ CME experience hinges upon the design of your LMS, you might not know that its most important structural component is its navigation. Regardless of how engaging your activities are, if your members have to spend minutes scrolling through your site to find their way around, they are going to interpret it as a customer experience fail, not just a minor inconvenience. What navigational roadblocks do users face when trying to find and print their certificates? Are learners able to print certificates easily or are there several steps that require clicking through multiple pages? Is it easy for a member to return to a previous page and change the certificate they want to print, or does every input error require them to restart the process from the beginning? The login process for your LMS might be simple, but when users are moving between different areas of your site, it’s easy to accidentally hit the wrong button when using a header menu. Printing from a webpage can make this type of error even more likely. Users may click and print from the wrong tab if they have more than one open in their browser. Or they might select a certificate other than the one they want to print, and then refresh the page too many times, resulting in the dreaded “too many requests” alert. Getting back to the task at hand after a simple mistake should be relatively effortless for your LMS users. How long does it take to return to a task if a learner logs out by mistake? Is the login field easy to spot on the first page of my LMS, or is it partially obscured by non-essential style elements? Is logging in quick and simple for first-time users? It may be tempting to try to deal with the above design problems inside an extensive FAQ—that’s a common (and often costly) mistake. A lengthy FAQ is unlikely to be read by busy medical professionals who want quick answers on how to find their certificates. A FAQ that is limited to a few common issues, with links to an unnecessarily lengthy knowledge base for everything else, is even less useful. A frustrated learner who has found your potentially unhelpful FAQ will most likely call your support line rather than risk another long and unfruitful read. While you can’t correct everything that your members may struggle with, when it comes to crucial tasks like printing certificates, a well-designed, succinct knowledge base can make life a bit easier for your learners. The right LMS will rely on its strong design, rather than an abundance of FAQs, to guide learners. 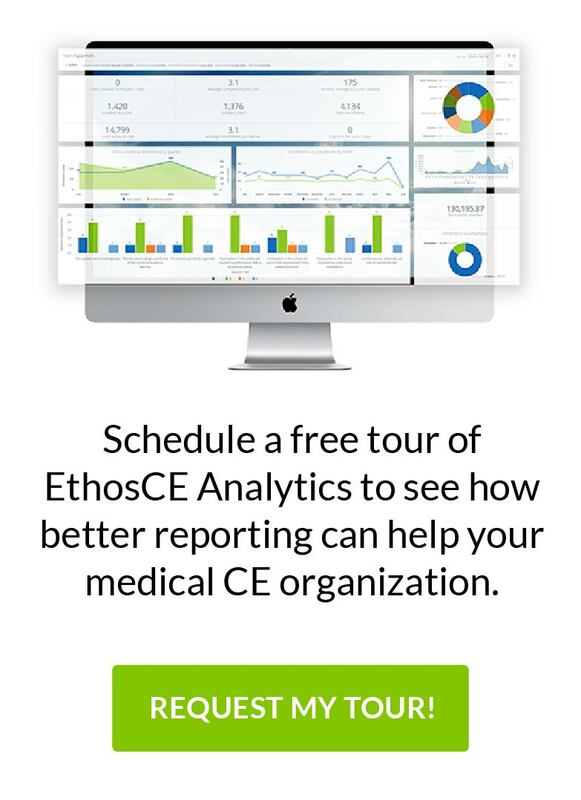 If you aren’t using a platform like EthosCE, then your members will be wholly dependent on your self-help section (and tech support) to find solutions for persistent design-related questions issues. How long does it take to find information about locating and printing certificates in our FAQ? Can a user easily find answers to simple questions about their certificates without consulting a knowledge base? Are my users frequently calling our support line after reading our FAQ? At EthosCE, we’ve built an LMS that allows your learners to focus on their activities, not managing basic tasks like finding and printing documents. You won’t have to wade into the tech side of our LMS to simplify critical processes like logging in, order fulfillment, or activities management. Our platform provides everything that you need to make your users’ experience the best possible. Connect with us today to find out how we can help you reach and exceed your CME goals.